PrimePress solutions are the heart of the press section. The addition to suction press rolls is the PrimePress X shoe press. 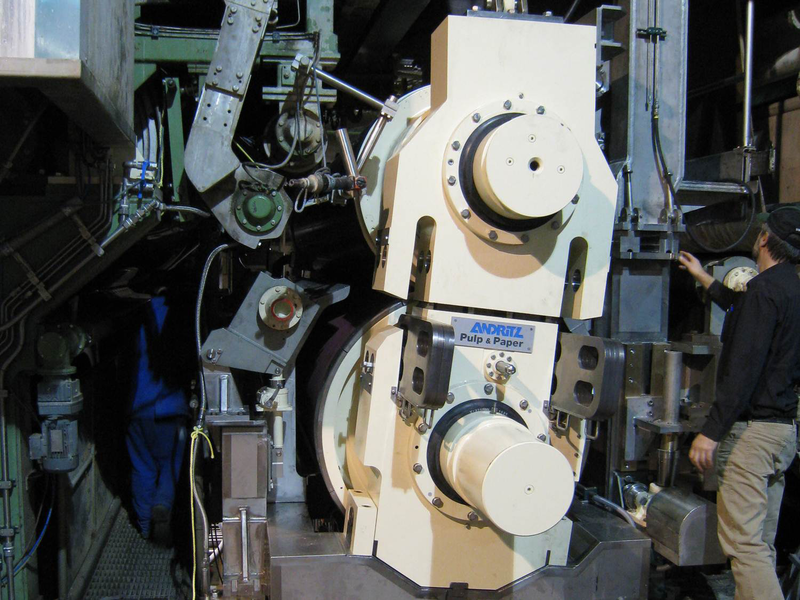 It can be installed in any multi-nip press configuration, or as a stand-alone single-nip press. The PrimePress product portfolio includes multiple configurations: compact or single design, with or without shoe press, and even draw-less pick-up. 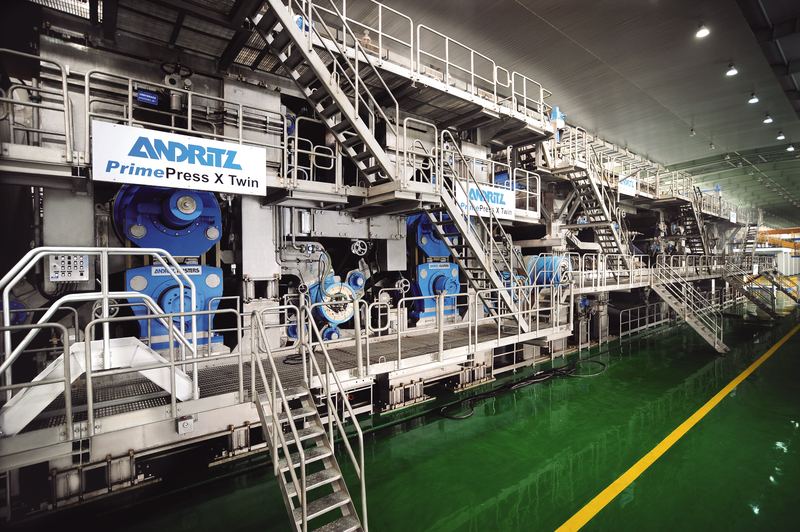 The press section can appear as shoe presses (x-nip technology with HV-Smart counter roll) and multi-nip presses, in combination with suction press rolls (efficient water removal at low installation costs), conventional, jumbo or off-set presses (for high-quality end products). With speeds of up to 2,000 m/min and nip loads up to 1,800 kN/m, the PrimePress X is the right shoe press to increase production and reduce energy consumption per ton of product produced. Nip widths from 120 to 350 mm are engineered for each application to maximize press dryness and sheet properties. A compact version is available. Featuring a 700 mm belt diameter, the compact version is ideal for rebuild situations where space is limited. This press configuration pairs two PrimePress X shoe presses to deliver the maximum pressing capacity for paper and board grades while minimizing the number of spares needed for reliable operation. The PrimePress Tri X uses four rolls in a cluster press to form three nips. It also incorporates a PrimePress X shoe press in the third nip. This proven configuration is excellent for transferring the sheet through the press section with no open draw and is excellent for rapid re-start after a sheet break.